I participated in a darzalex story telling recently. I'm the third story down. I write occasionally on Blood-Cancer.com. Here is my latest. It's 3 AM as I write this. Earlier today I had my monthly darzalex infusion. Five hours. The first 4 go by swiftly. I get a large benadryl dose and get loopy. I doze off for an hour or so. Wake up, check emails, watch a movie and so on. The last hour is miserable. The benadryl has worn off and the dex has kicked in. I get antsy, grumpy and ready to get the heck out of there. I'll look at the drip bag about every five minutes to see if we've made progress. I'm usually the first patient in the office and can chose my regular chair in the infusion area. Today I strolled in about 5 minutes late (due to a sock change at home...had to put on my Vikings socks (after all it is Purple Friday)). That five minutes meant that I lost out on my normal chair off in the corner away from the coming commotion and away from the tv. Even the nurses mentioned to me that I lost my usual chair. It's all about routine for me. I do my labs the same day at the same time, once a month. I always wear Vikings gear to treatment. I have my chair. I wish the doctor's office had "walk up music" for patients when they enter the infusion. You know...like when baseball players walk up to bat, the p.a. announcer will play a song picked by the player. I skipped Berenson last month but saw him earlier this week. My labs continue to look good, so he was happy. Creatinine by the way was 2.03. I have one more infusion before I hit the 8 year mark. Pretty remarkable considering where we started on the journey. And life sure has changed in that time. Some good, some great, some bad, some horrible, some just meh. Last year we did a bowling celebration for the 7 year mark. This year, no big celebration. I would like to squeeze in a Vegas trip one of these days. I think I'm waiting on the massive celebration for when I hit ten years, which will occur in the same year I turn 60. That will be quite momentous and at one point in time very unexpected. What else can I tell you? Not much. I'm sure I mentioned that my MRI showed no issues. I also did a heart stress test and echo cardiogram, to ensure all the years of toxins haven't impacted the ticker. It's fine. So we carry on. Where it goes is a mystery and isn't guaranteed. But I can guarantee that next month I won't be late to my infusion and I'll have MY chair. - MRI of my neck and head were negative. My twitching continues, at a reduced rate, so it's likely drug caused and not neurological. Phew. - Myeloma numbers are still great. Creatinine is in low 2s. -I put on some holiday pounds but back on the program. 10 more pounds to go to get to the goal of 175. -May 2 is 8 year anniversary of diagnosis. Suggestions for how to acknowledge/celebrate? First up is a Webinar on Immunotherapy on April 2. Click here to register. Multiple Myeloma treatment has evolved over the years and there are many options to explore in treating this chronic illness. 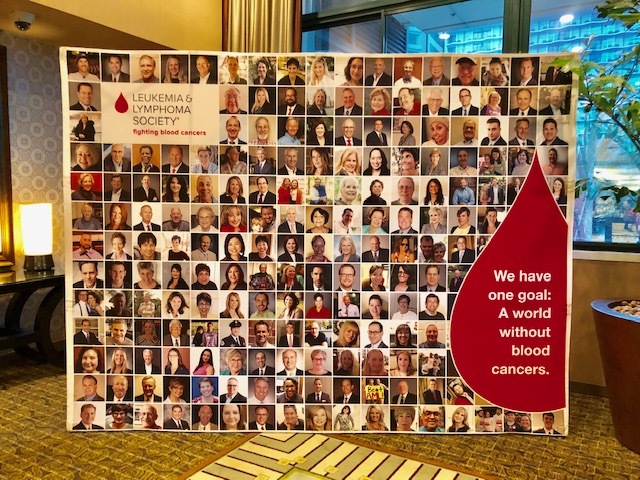 This month's telephone educational and support program goal is to create a better understanding of the role played by bone marrow/stem cell transplant and minimal residual disease in treating multiple myeloma. This program will include ample time for questions and answers. The call will feature Dr. Stephanie Williams, Division Chief, Adult Blood and Marrow Transplant Program, Spectrum Health Cancer Center. 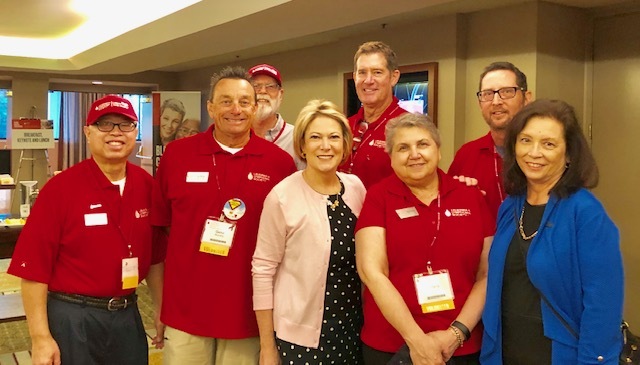 As well, Multiple Myeloma Journey Partner and survivor Barbara Hanson will share coping techniques and offer hope to all in sharing her experience. The nbmtLINK's licensed social worker, Jennifer Gillette, will facilitate the program. Living For Lamingtons: Do I Have To Be Relentlessly Positive To Live With Multiple Myeloma? There are a few things about having multiple myeloma that I don’t think I will ever get used to. One of them is the way people react when they find out that, despite treat­ment, multiple myeloma is a cancer that comes back. 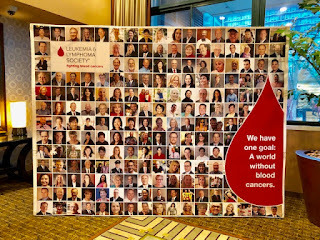 It is an un­com­fort­able situation for many people (including me and all the Myeloma Beaconreadership! ), and I have found that it is often very dif­fi­cult for some people to accept. When I was first diag­nosed and began treat­ment, I didn’t know this fact myself. I just gradually realized that multiple myeloma was a disease where remissions were possible, but cures were not. The mission, for me, in those early days was to try to get me well enough to cope with the induction regi­men and then a stem cell trans­plant. Not surprisingly, none of the doctors or nurses talked about relapse during those early days. But, of course, as I became more knowledgeable about multiple myeloma, I did find out about the "normal" pro­gres­sion of the disease. I also read about the hopes for a cure and the possibilities of some of the newer treat­ments, such as CAR T-cell ther­apy. I prefer not to dwell too much on the inevitability of relapse but rather concentrate on the good days and my time in remission. I want to be positive about my life, and I feel that I do have a positive outlook. At the same time, I also want to be realistic. I want to be informed, and I want to be as fit and well as possible during this time. I have great days, I try to enjoy all the good times, and I feel very fortunate. However, I am not relentlessly positive! When I see my myeloma doctor, he always mentions that I will need treat­ment again in the future. I don’t think he likes saying that anymore than I like hearing it. So when myeloma rears its head in conversation with friends and family, I try to be realistic. I reluc­tant­ly use the word "when," rather than "if," when I refer to the myeloma coming back. I have noticed that my choice of words makes some people very uncomfortable; often they interject and change my wording to "if." Other people ask me if I am really sure that the myeloma will come back, to which I usually reply that it always seems to return. I don’t push it, but I leave the person looking sad, and I don’t like that either. Another area where I may not come across as "relentlessly positive" is in planning ahead. Many people I know are waiting to have a particular sought-after ex­peri­ence, such as a special vaca­tion. The reasons are many, but in essence they are all planning well ahead. Their reasons could be that they have not retired yet, they might be waiting until their children are no longer "on their wallets," they may be saving up for a trip, or they may be waiting until the time seems right. I understand their mindset. I think it is a very natural part of being the age that most of my family and friends are in. However, I cannot enter into this planning-ahead mindset. I would love to join them in the plans to go to Namibia in 2020 or Alaska in 2022. But I can't. As a result, I think that many people feel that I am being pessimistic when I show reluctance to join the plan and attempt to explain my reasons. Their response can seem to go along the lines of "Of course you will stay well until then; be positive!" Planning ahead has taken on a very dif­fer­en­t flavor for me. I look forward to the day ahead. I am scared to look too far ahead. I can't wait to ex­peri­ence something that matters to me. I quite un­reason­ably want to do whatever it is that brings me joy and pleasure right now. I don't think that not having a relentlessly positive attitude is the reason for my behavior. Instead, I have learned to live in the moment and take every oppor­tu­ni­ty that comes my way. Yesterday, I spent the day volunteering and learning tat the Leukemia and Lymphoma Society's Annual Blood Cancer Conference. These conferences are held across the country by the different chapters and are truly an amazing event. 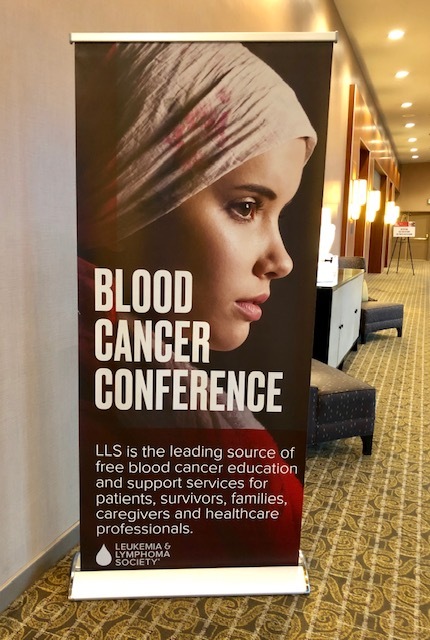 Of all the organizations I've been involved with, the LLS is one of my very favorites. They provide insurance assistance, travel assistance, nutrition consults, peer to peer interaction and much much more. I've been questioning my involvement with some of things I do, but I will always, in one form or another, be engaged with the LLS.